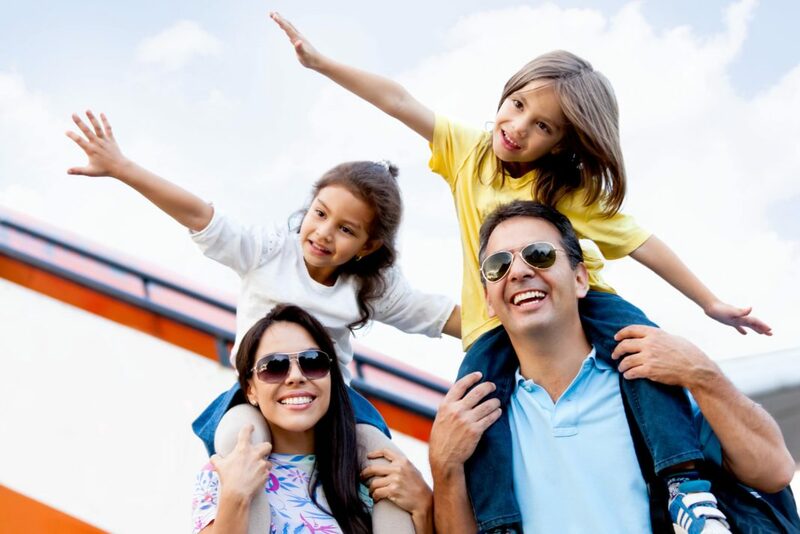 If you’re unsure of what type of vacation you may want to treat your family to next, simply continue reading to discover a few fun family travel ideas to consider. If you’re looking to book a fuss free vacation that your whole family will love, it’s well worth booking a family cruise. As most modern day cruise ships boast endless family friendly activities and parties as well as multiple swimming pools, waterslides and kids clubs. As a bonus, if you choose to book a cruise, you won’t have to worry about unpacking and repacking your family’s bags every few days but will still get to explore a wide variety of adventurous destinations. Some examples of regions which you may want to consider visiting on a cruise include the Hawaiian islands, Mexico, the Caribbean and Fiji. Although you may also be interested in exploring Alaska or Scandinavia. One of the bonuses of booking a family cruise is that your kids will love being able to form lasting friendships with the kids which they meet at your ship’s kids’ club. Which means that you’ll get to spend a bit of quality time with your spouse or partner, whilst still being able to make plenty of holiday memories with your kids. If your children have never touched snow for the first time or have never taken a skiing lesson, it’s well worth treating your family to a skiing vacation. As your kids will love the thrill of learning how to ski and will also be able to take part in other winter activities such as ice skating and dog sledding. If you choose to embark on a family ski vacation, also make sure to teach your kids how to build an adorable snowman and how to start a family snowball snowball fight. While Disneyworld is significantly bigger than Disneyland, it’s still worth treating your kids to a once in a lifetime trip to the original Disney themed park Disneyland. As your kids will never forget the memories which they make at Disneyland, which is also known as the happiest place on Earth. After meeting Mickey Mouse and riding as many rides as possible, it may be worth visiting some of the other family friendly theme parks in California. Some examples of which include Sea World and Legoland, both of which are located in San Diego and Universal Studios and Knotts Berry Farm, both of which are located in Los Angeles. In order to share a piece of your own childhood with your kids, why not take your kids to some of your favorite childhood vacation spots. Such as the campsite where your family used to vacation in the summer, when you were your kids’ age or to your favorite overseas destination which you visited as a small child. As you’ll love seeing some of your favorite travel spots through your kids’ eyes. So what are you waiting for, there’s no time like the present to start planning your next family vacation!